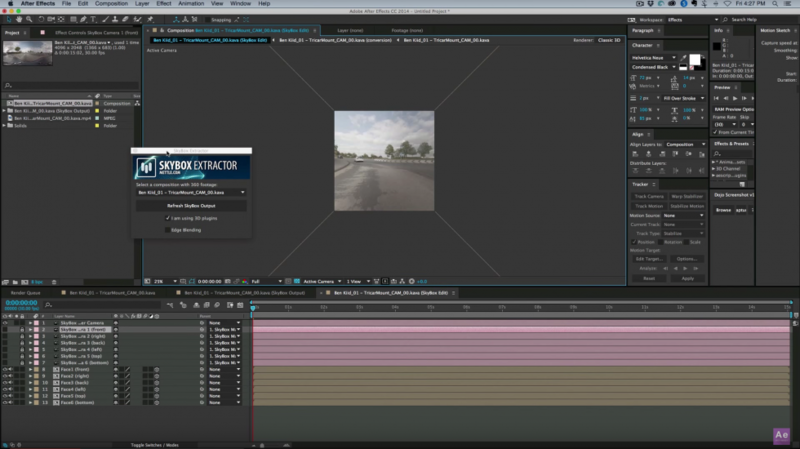 Mikey Borup (After Effects Tutorials w/Mikey) shows us exactly how to 3D Camera Track 360 footage in After Effects. Camera tracking or match moving is primarily used to track the movement of a camera through a shot. That way you can add or remove objects in a scene, and they will match the perspective and look seamlessly integrated into the scene. 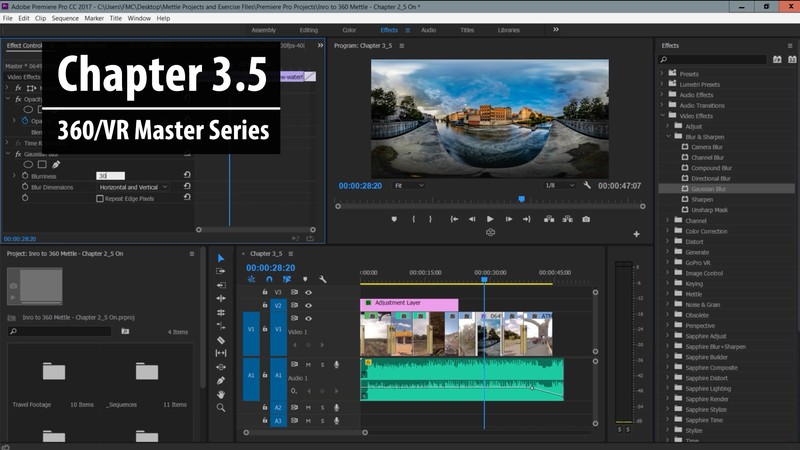 It’s much trickier to do with 360 footage than with 2D footage, but Mikey figured out a technique and shares it in this tut. He camera tracks a Billboard, and adds a 3D Rock into the scene. Very practical and cool stuff! 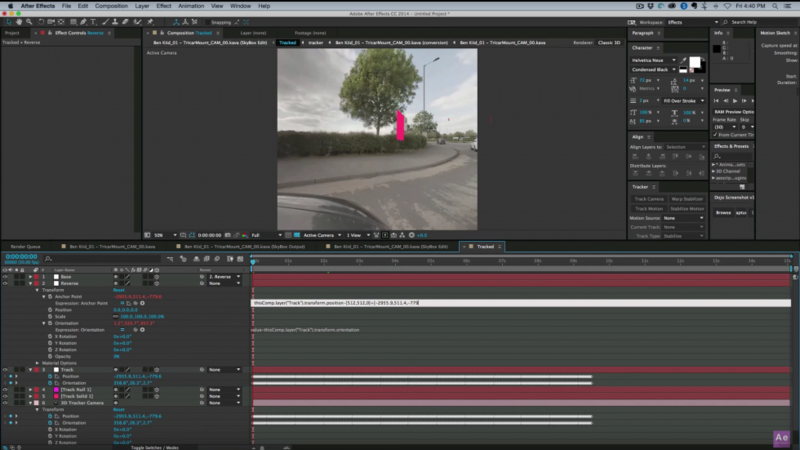 How to 3D Camera Track with 360 Footage in After Effects. Apply SkyBox Converter to your imported 360 footage. 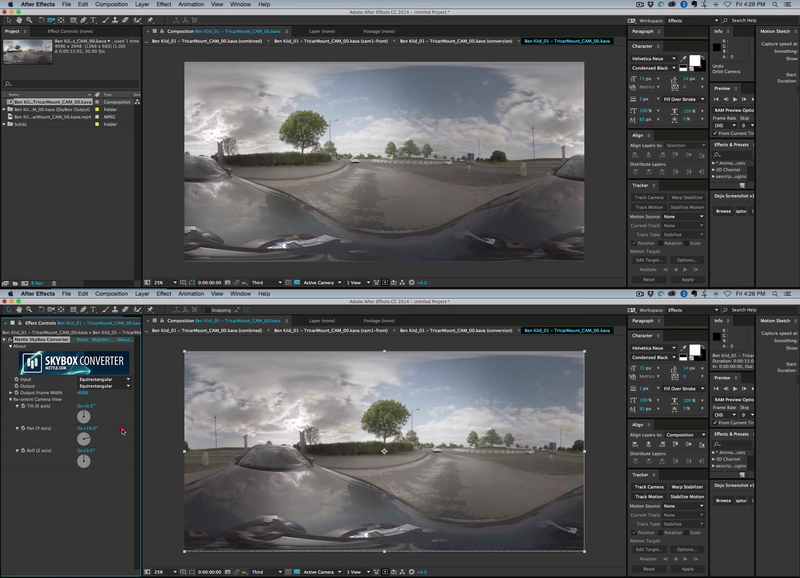 Move tree to the center of your composition: SkyBox Converter > Re-orient camera view. 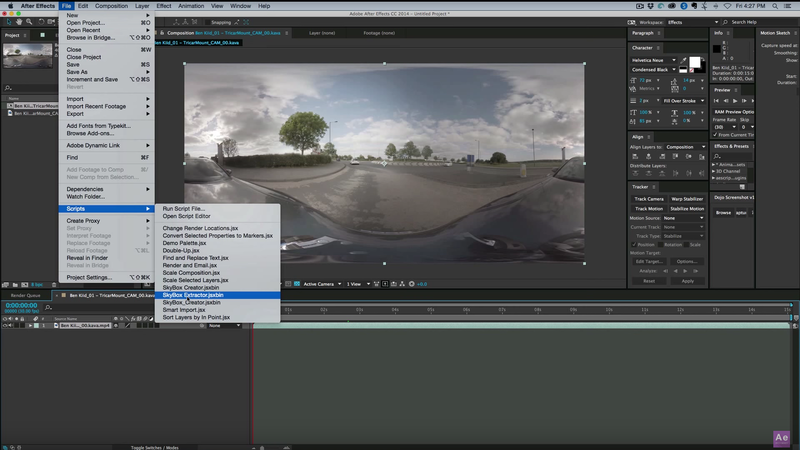 Apply SkyBox Extractor to create a flattened view of your footage. 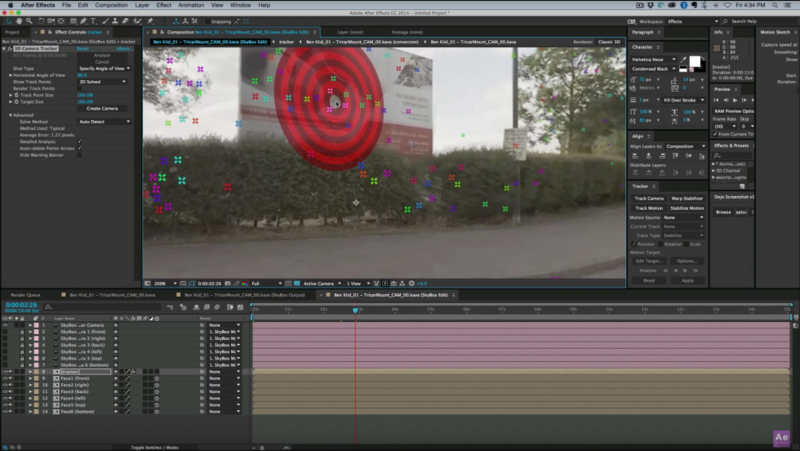 Apply After Effects Camera Tracker and set your target and Null. Apply a specific set of parenting, duplicating and comping. 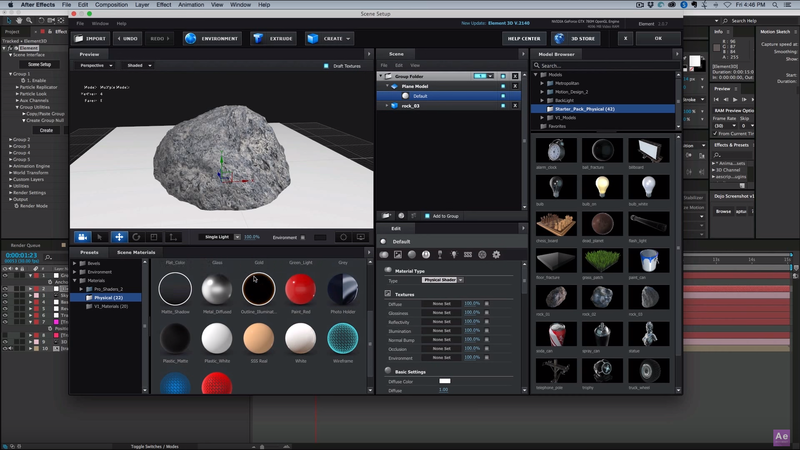 Create your rock in Element 3D. Final result: your rock is in your 360 scene and follows the 3D camera movement. FreeForm V2 for CS6: Fast, Flexible and Ferocious! 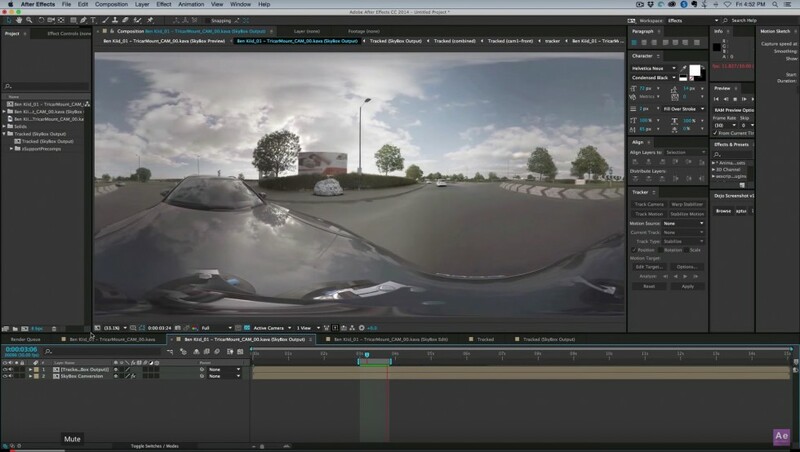 is it possible to parent a text (lyrics) to the master camera of a 360 video? 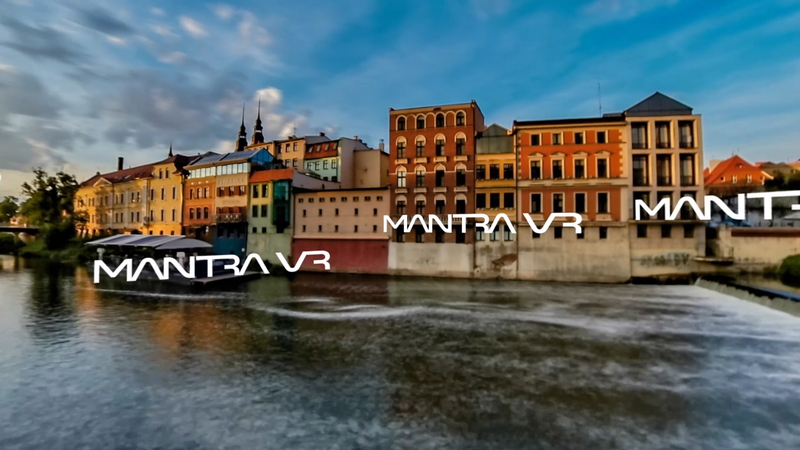 when you export the 360 video and play it, it will look like the text is parent to the camera while looking at different angles. What Camera or camera setup are you using (Then/Now)? This is the only video I can find on this. Thanks!